After working for the Hillsborough County Sheriff’s Office for 25 years, Javier Nava decided it was time to trade in his badge for salsa. Originally from Mexico, Nava and his family moved to the United States in 1956. Growing up in Texas, Nava spent much of his youth watching his mother cook. In the short amount of time Nava’s been pushing his brand full-time, he’s found a surprising amount of success. Nava first reached out to the Florida SBDC at Hillsborough County in 2010 and attended several low-cost seminars including Getting Your Business Online and Introduction to QuickBooks. The Florida SBDC at Hillsborough County also informed him on minority business certification options. Javier Nava with Governor Rick Scott, Florida Attorney General Pam Bondi and Florida CFO Jeff Atwater. Nava’s hard work was rewarded again last year when he earned shelf space at four Whole Foods grocery stores in the Tampa Bay area. He cites the process as being one of the most difficult processes he’s ever been a part of. Recently, Nava started working with Corey McCaster, business consultant at the Florida SBDC at Hillsborough County. While their partnership is in its nascent stage, Nava looks forward to the continuing support and guidance. Javi’s Salsa is also a member of the Fresh From Florida Program hosted by the Florida Department of Agriculture and Consumer Services. With the help of McCaster and a newly hired broker, Nava will soon take aim at getting his product into Publix stores located in the southeast part of the state. Nava remains optimistic about the trying process ahead of him, knowing it will take time and patience. 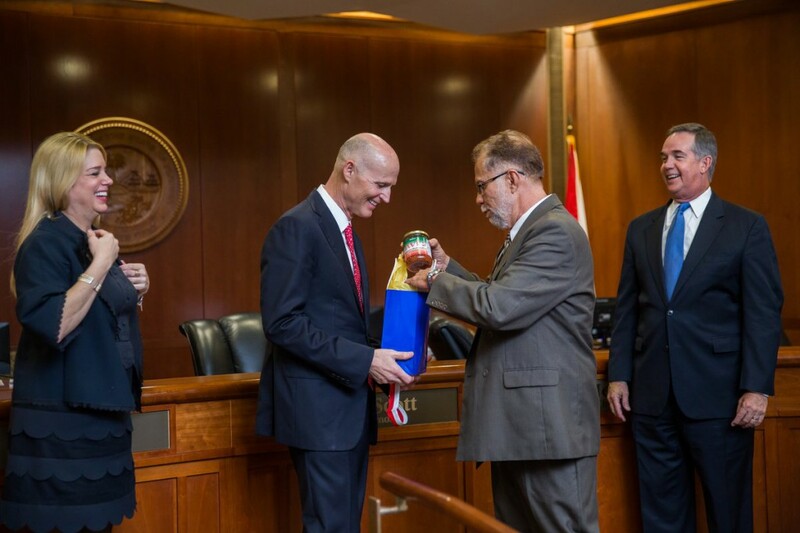 In February 2017, as a testament to Nava’s success, he was recognized with the Governor’s Business Ambassador Award by Governor Rick Scott. 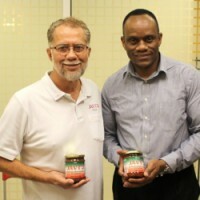 "I make salsa and I’m pretty good at it but the Florida SBDC at Hillsborough County has helped me become a businessman. With Corey, he’s beginning to mentor me and I’m slowly evolving into that businessman."